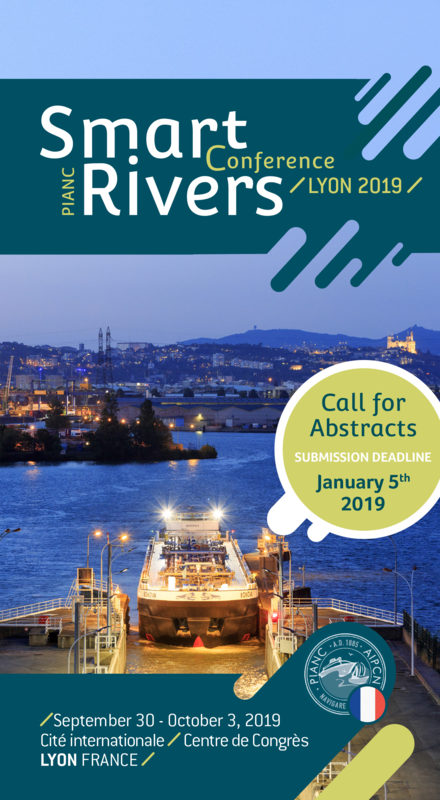 The call for abstracts is for the Smart Rivers 2019 Conference that will take place in Lyon, France from September 30 - October 3, 2019 is now open and will close on January 5th 2019. It is an opportunity offered to all waterways experts worldwide to showcase their knowledge, expertise and the latest technical innovations, while also raising them and their company’s profile. The submission of an abstract is required for panel as well as for poster sessions. Each abstract must be written in English or in French and limited to 500 words. It should be based on one of the conference technicals topics (not including special sessions; see in this leaflet) and should not include graphics/figures. Abstracts shall be submitted online at www.smartrivers2019.com/call-for-abstracts/. More practical information will be found there. After a review supervised by the Scientific Committee, authors whose abstracts are accepted, will be expected to prepare either a short paper (max. 1500 words) or a poster, and a slide presentation. Accepted authors will be expected to attend the conference, pay the appropriate fees and make the presentation in person.